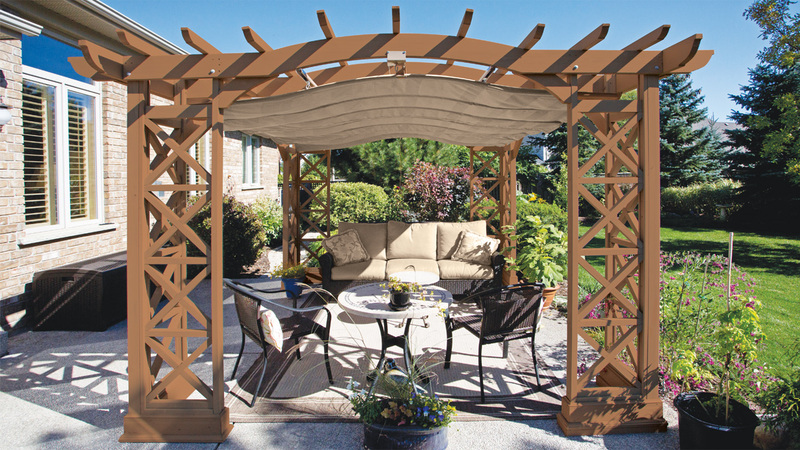 Extend your outdoor living space with the Preston Pergola with Retractable Sunshade by Yardistry and create a centerpiece for your space that balances classic and contemporary elegance. Modern features like X designed corner panels and arched roof beams are balanced with classic elements such as traditionally crafted plinths at the base of each corner. Together these features create a style unique to Yardistry. 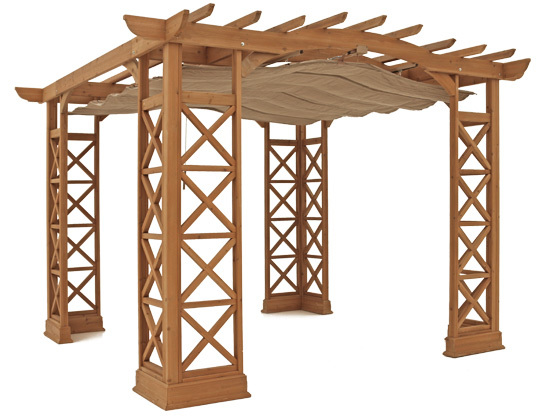 The Preston Pergola with Retractable Sunshade can accommodate most outdoor dining rooms, furniture sets and hot tubs creating the perfect space to entertain family and friends or for that private oasis where you can get away from it all. 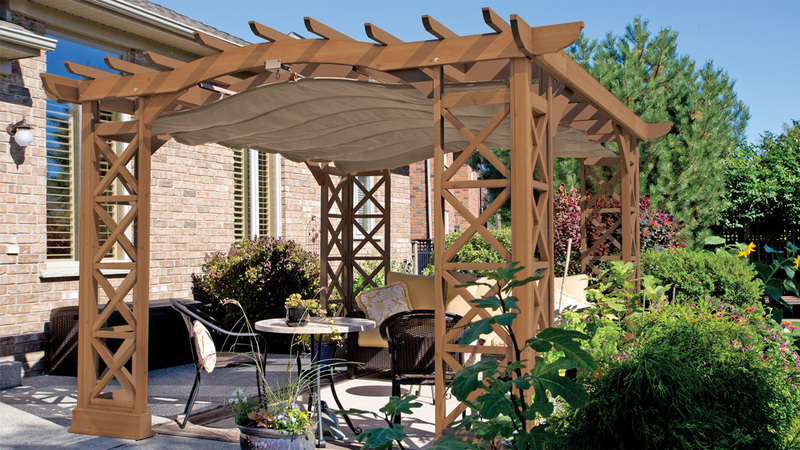 The retractable sunshade will allow you to enjoy your time outdoors, sprinkle or shine! Easy to use, the Retractable Sunshade runs on two tracks that are attached to the underside of the Pergolaís roof and can be retracted and expanded at leisure. Made from water resistant Sunbrella performance fabric this sunshade offers superior protection from the sun. 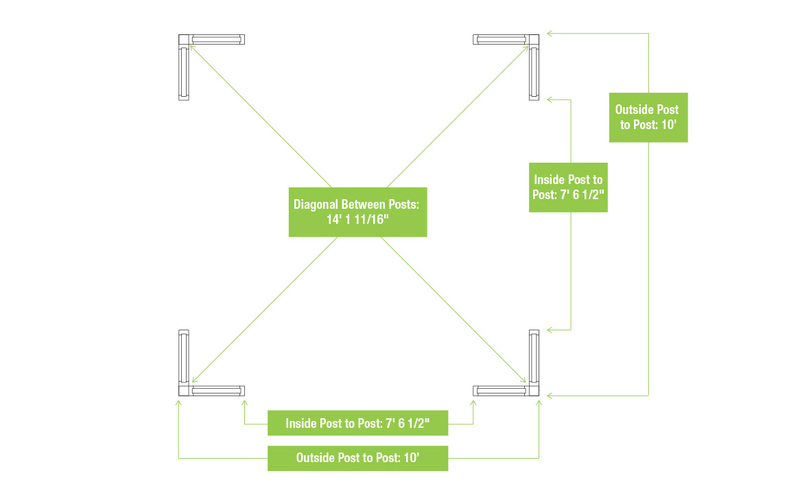 The Preston Pergola is assembled with little more than a drill and includes all necessary hardware. 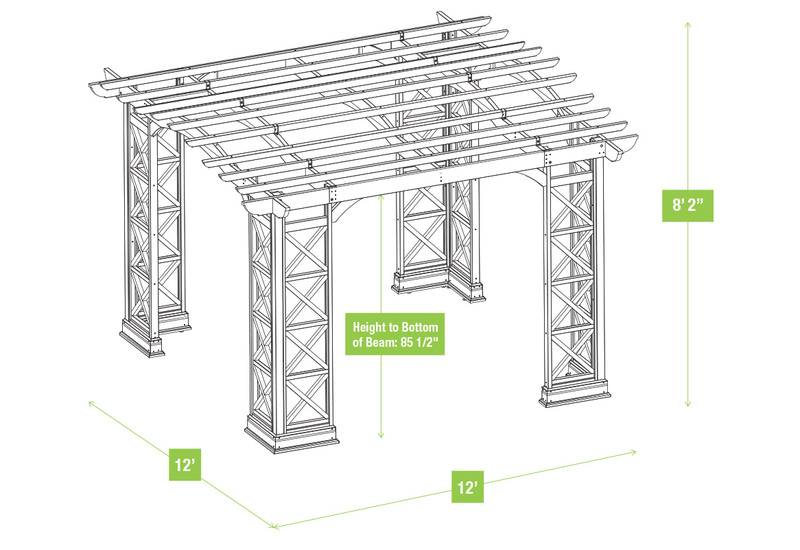 Our illustrated step-by-step instructions will guide you every step of the way and ensure that assembly is quick and easy. All documents are stored as PDF files and require Adobe Acrobat Reader to view.